Please note that this trip is available on request only, from 15th January until the end of April, Minimum two persons. Join us and experience the splendor of the arctic wilderness. After preparation and instruction, we'll drive onto the remote Finnmarksvidda mountain plateau, one of Europe’s last true wilderness areas. On this tour, we will travel across the Beskades plain in a southern direction, crossing frozen lakes and past seasonal Sami settlements. Our goal is the next lodge in the old Norwegian fjellstue (mountain lodge) network, where we will stop for lunch. Then it's back to the starting point at our own fjellstue, Gargia and the tour ends with a visit in our sled dog kennel. 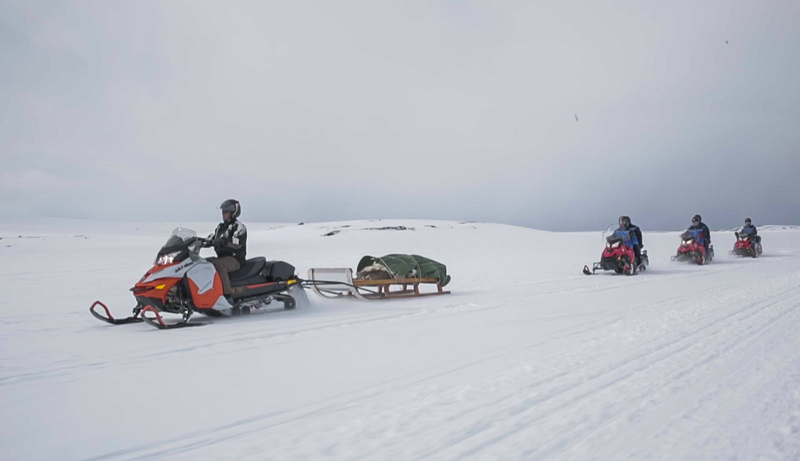 The trip can be done by two persons sharing one snowmobile, driver and pax, or one person only per machine. (Note the maximum allowed weight of the passenger is 88 kilos as set by the manufacturer.